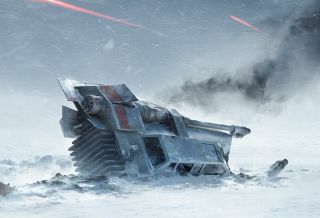 Star Wars: Battlefront will be unveiled to the world in all its glory at the Star Wars Celebration, which runs from April 16-19. But if you want to check it out before that—and I mean, actually play the thing— then I have good news: Electronic Arts is offering playtest sessions next week of three to four hours in length at its Redwood Shores location in California, and at the Burnaby campus in British Columbia. The sessions are open to "gamers of all types," as the EAC Playtesters Facebook page puts it, and will take place on April 10 at various starting times. You'll have to sign a non-disclosure agreement if you're selected to take part, but you'll also be given two EA games of your choice as a thank-you for your time—and of course you'll also get to play Battlefront for a few hours, well before anyone else in the world even has a chance to see it. As CyberAceGaming pointed out, this isn't actually new: EA has held at least four publicly-accessible Battlefront playtests since the start of the year, but nobody's really noticed until now. Now that the word is out, I expect EA will see a big bounce in the number of applicants. So if you're looking for something to do in California next weekend, you may sign up here; if beautiful BC is where you'll be, names go in the hat over here. The rest of us will just have to wait for the Star Wars: Battlefront trailer reveal, which will happen at precisely 10:30 am PDT on April 17.